Now I can’t quite remember where I got the original recipe from for this as it was about 10 months ago now, but in any event, I’ve tweaked it a little bit to make it that bit richer!! Melt the Chocolate and let it cool whilst you’re getting on with the rest! Stir together the dry ingredients. I like to use a hand whisk so that I know everything has combined well and there are no lumps. Mix in the wet ingredients then gently pour in the melted chocolate. Bake for 25 minutes or until the top is no longer shiny. The great thing about this brownie and it being egg free is that, even if you pull it out of the oven early because you like an ultra moist brownie, you’re not going to poison yourself because there’s no egg!! 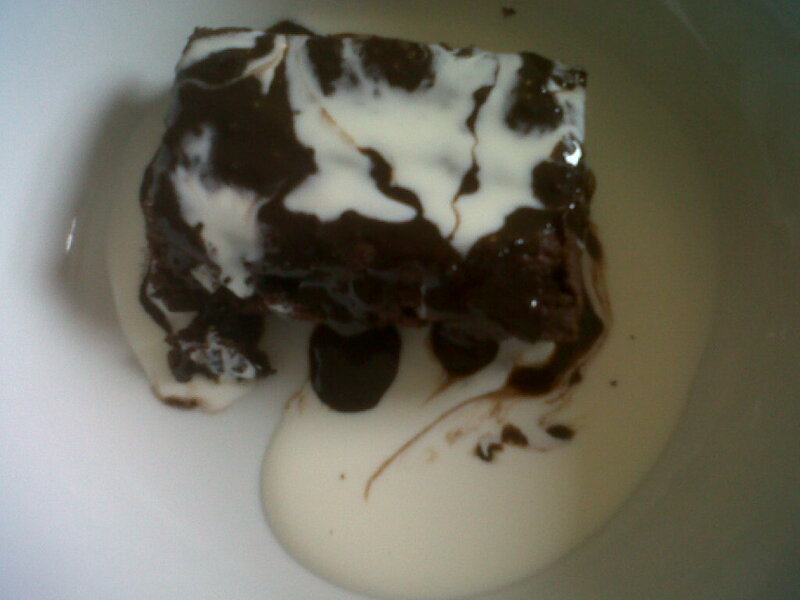 I like mine quite moist so just keep checking really until you feel that the brownie is how you like it! NOW, this is the ultimate hot fudge sauce recipe, you will, I can assure you, LOVE ME FOREVER for this recipe!! I made this once and it went a bit wrong, I didn’t get everything melted in properly and it went a bit lumpy so I poured it into our blender and hey presto, disaster averted, it was perfect!! So fear not if you’ve a lot of lumps, it can be a sensitive mix to make, but it can be saved with a trust blender. Turn on the hob to med/high and as the mix starts to warm up add the butter. When the mix hits boiling point and starts to bubble, let it continue to do so for a good 5/6 minutes. Be careful not to burn the mix because you will just be left with a bitter chocolate tasting sauce. After 5/6 minutes of boiling, remove from the hob and add the vanilla. I like to then pour my sauce into my trusty Wilton bottle because this way, whenever it needs warming up I can just pop it easily into the microwave! This is seriously one of my fave recipes! If you like your brownies cold, I can highly recommend spreading a thick layer of chocolate buttercream, homemade or shop bought, it’s your prerogative, and munching away. Bliss. Right, I’ve made myself extremely hungry now, noodles and king prawns for tea!! A post I forgot to post!! This posts from 17 November, I forgot to post this being the plonker that I am haha enjoy……. 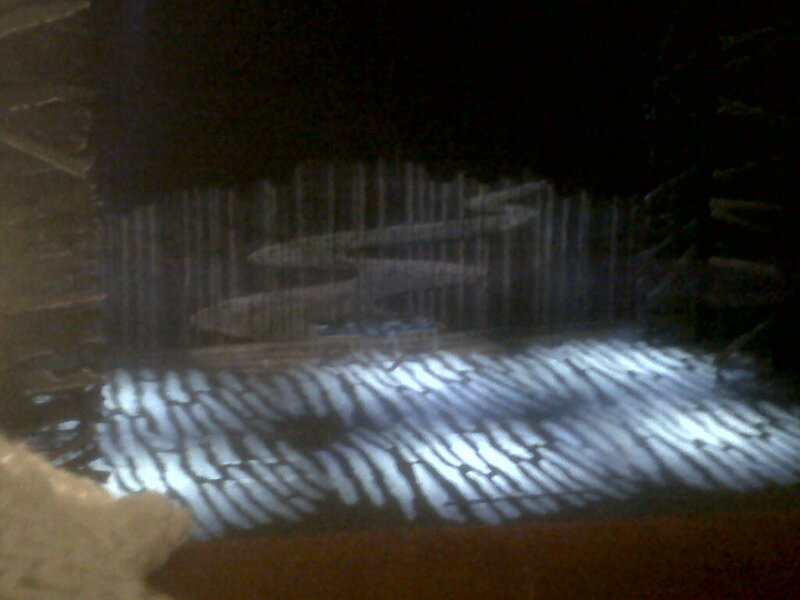 I went to the theatre lastnight to see Fiddler on the Roof by the Bradford Catholic Players. I’d never seen Fiddler on the Roof but I knew the song ‘if I were a rich man’ and it’s become a kind of regular thing that I do every year with my Grandma so off I went! Now, I’d read in our local paper that they would be using a real dog and baby this year for the first time so curiosity certainly got me going!! 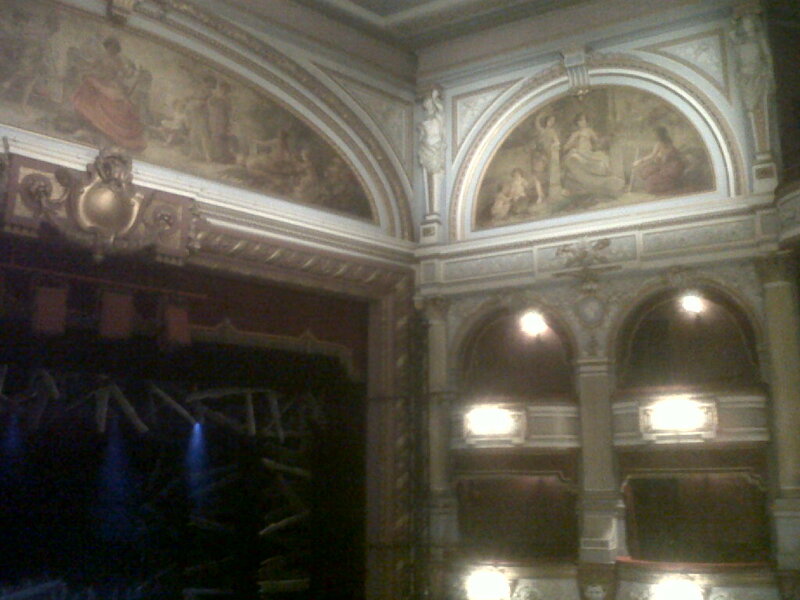 I love, love, love going to the theatre. Musicals take me off to another place, like books, and I enjoy this feeling so much. The actors and actresses in this theatre group are truly amazing, I can’t give them enough credit really, you would think that you were listening to West End performers they were that good! I have to say though, although I have nothing but praise for the whole show, the songs, the acting, the spot on timing with the funnies, a girl in a red dress kept running on and off of the stage and it truly threw me! 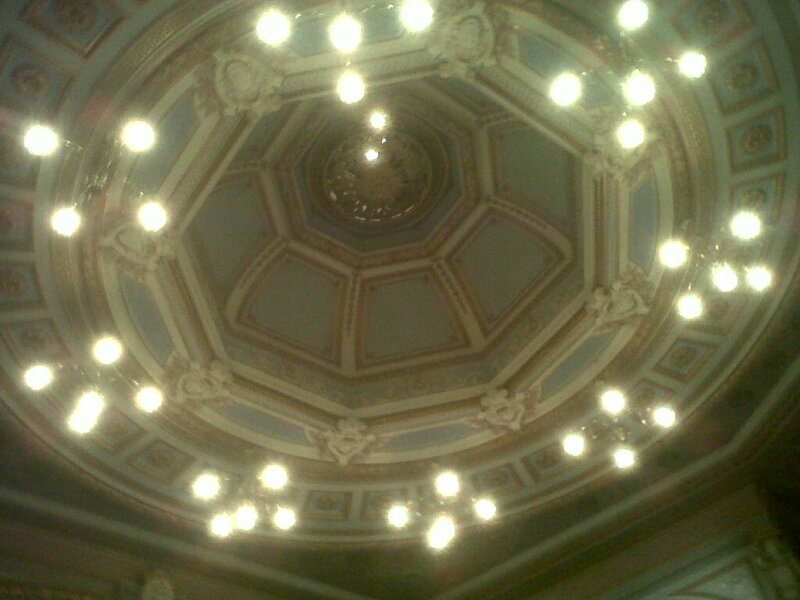 I have never in my life left the theatre feeling confused but….lastnight I did. Now, I have since researched this and have managed to confirm what my Grandma said (older people are always right aren’t they, has anyone else noticed that? ), the ‘red girl’ dies at the end…..I’m pretty sure that isn’t a spoiler because I don’t think she appears in the film….and I think that this is supposed to symbolise the death of Jewish traditions. Deep huh? Can’t wait for next year though, last years Beauty and the Beast actually gave me quite the lump in my throat, so emotional. Is it wrong that I’m still hungry? I’ve eaten like a little trooper today, honestly, it’s pretty bad…. The worst thing is though, I’m still hungry! Watching Man vs Food is not helping, first he has 4lbs of pancakes to eat (nomnomnom) and now he has a ‘kitchen sink’ full of ice cream (8 handful size scoops of ice cream and cream). I need foooooooooood and it needs to be soon because the X Factor is on soon dammit! I truly can’t wait to start making goodies to freeze for Christmas, that way, when I get the nibbles, I’ll be able to nip to the freezer, grab a frozen cookie dough ball, and bake it! Tomorrow my mission is to work on egg free pancakes, a nice version! Egg replacement powder just doesn’t do it for me sometimes. Now it may seem like by not having eggs you’d suffer and have to sacrifice flavour or texture but please let me just try and convince you that this is not the case at all! People look at me like I’m an idiot, and sadly many refuse to try things that they think are egg free, especially in baking (but I assure you I make a mean brownie! ), so I don’t tell people anymore and that feeling of smugness always creeps over me when they say how much they enjoyed it, especially when it’s someone who has scoffed previously when I try convince them! But I guess it’s true what they say, the proof is in the pudding. I can try convince people until I’m blue in the face but it just won’t work unless people are open minded and prepared to try. I’ll post my brownie recipe on here next week sometime in the hope that it may encourage someone to try make it that can have eggs. Aw and would you look at that, I’ve spent so much time babbling at y’all that the X Factor has come one and I haven’t got any snackage, D’OH! Oh well, it may do me good!! Last Sunday I went back to Le Metro (http://www.lemetropolitain.co.uk/lemetro/ ) and I have to say, I’m pretty sure that if they serve food in heaven, this is what it will be like!! Again I went for Sunday lunch, they have a great offer where if two of you get Sunday lunch then you get a free bottle of vino, this makes me very happy! This time I had the roast beef, I really wanted the ham again but alas, I do love beef so I can’t say it upset me as such, and I wasn’t disappointed at all! I took a picture but because my Blackberry has an awful camera I won’t put it on here, it won’t do the amazing food justice. I can honestly say, I have NEVER tasted roast potatoes as amazing in my life, they are so moist in the middle and crispy on the outside, two on your plate is not enough, I could eat a plateful. I also realise I have put amazing twice above but just thinking about these potatoes makes me lost for words! The beef was an absolute winner too, I usually like my meat well done but I didn’t think to say this to the waiter this time, however, when it came it wasn’t like you’d expect, it was actually cooked with just a nice hint of pink and it melted in my mouth! Who needs ham when you have beef like this?! I had to give my Yorkshire Pudding away to my friend, to quote her ‘you cannot leave that, it’s sacrilege, give me it here they’re gorgeous’, but what ya gonna do when you can have eggs?! We both had apple and berry crumble for dessert and again, as expected, fantastic food. I have to say I’m quite upset I didn’t go today, they have vanilla milk and cookies on the menu for dessert….maybe next time! I urge you all to try this restaurant, the service is impeccable, the staff can’t so enough for you and simply put, if you don’t visit them, you are missing out on truly wonderful food. Just a quick post to let y’all know that I’m still alive! I keep saying I’ll be better at blogging but when, I do not know. My bad. On a serious note though, check these out, they might inspire you the way they have me……. Just lately I have been so busy that the only food I’ve had time for is the quick and easy kind! I have to say, between myself and my mum, we’ve managed to come up with some totally simple yet delicious lunches and dinners! So Monday was a total write off because I had that large cupcake order I showed you, so I had to fall back on my old faithful, rice, avacado, prawns, cucumber and feta cheese. Amazing. It sounds beyond simple, and it is, I also cheat by using Tilda’s microwave rice so literally, by the time you’ve finished chopping your avacado and cucumber your 2 minute rice has pinged and hey presto, grubs up haha. Later on I was so wiped that my mum made me some spaghetti, green olives and spinach pesto which ALWAYS hits the spot. I mean this is so simple that I don’t know why I haven’t been eating this for years! Obviously as I had a couple of cupcakes still left over from my order I had a gingerbread cupcake for dessert (would have been rude not to!) and that was me sorted for the night. Now lately the Food Network here in the UK have been showing Nigella Kitchen. I LOVE NIGELLA LAWSON!! I mean what’s not to love, she loves to eat, I love to eat, she loves sweets, I love sweets, she has just recently made a Grasshopper Pie WITHOUT EGGS, and I can’t have eggs!! Match made in heaven! I cannot wait to make the Grasshopper Pie, I bought the chocolate biscuits the other day and just need to nip and buy the Creme de Menthe and I’ll be sorted. BUT my main reason for mentioning the wonderful Nigella, is that she made a Spanish chicken meal on one of her recent episodes with chicken (obviously), chorizo, potatos and a bit of orange zest if it remember rightly, then the next morning with the leftovers she makes a Quesadilla! So this inspired us to make our own little Nigella Quesadilla. 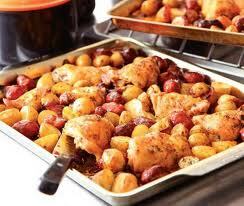 Nigella's Spanish Chicken - looks amazing right?! The thing I love the most about Quesadillas is that, you can literally put ANYTHING in them! For lunch yesterday my mum made me a chicken (ready roasted by the wonderful Morrisons!! ), cheese and chorizo Quesadilla and she had a chicken, cheese and crispy bacon one! My plan next time is to literally stuff it with everything I can think of because I have literally not felt so satisfied with a lunch for ages, it filled me for hours (which is really saying a lot, I tend to munch non-stop through the day). Now, I realise I should have probably taken a picture of my lunch, I usually do, but I was so so hungry I practically inhaled it……next time though, I promise! Until then I highly recommend y’all have a look around Nigella’s website – www.nigella.com – she is an absolute legend! 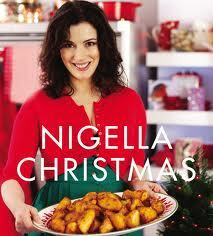 My absolute favourite Nigella book! 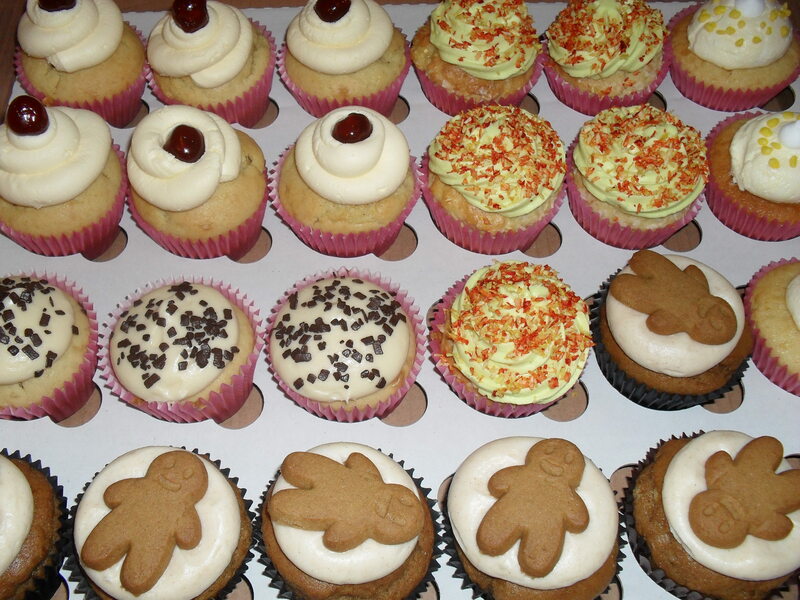 So here we have my Bakewell Tart, Christmas Coconut, Lemon Meringue, Baileys and Gingerbread cupcakes. Can’t wait to munch on the couple I had left over from the order! The other part of the order! 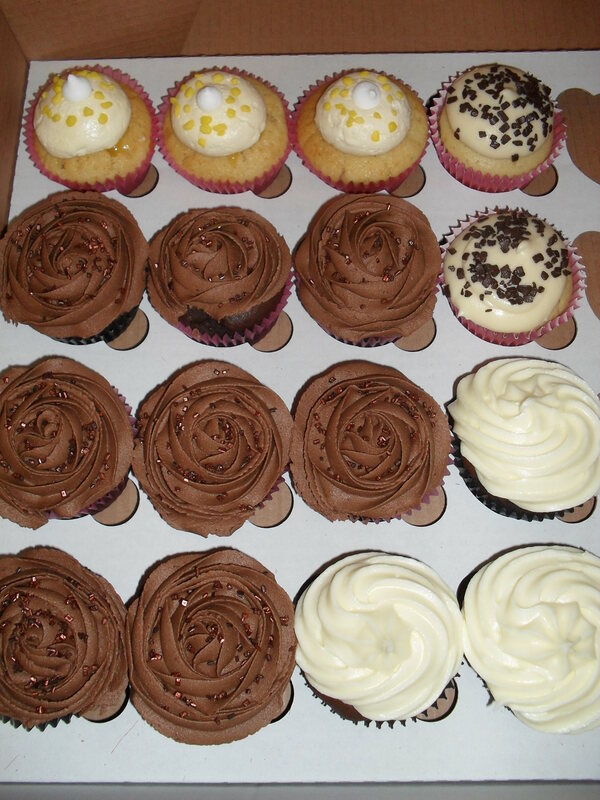 More Lemon Meringue, Baileys, Double Chocolate and White Peppermint Chocolate Cupcakes. I’m off to grab some tea now folks, Spicy Butternut Squash, nom nom nom!